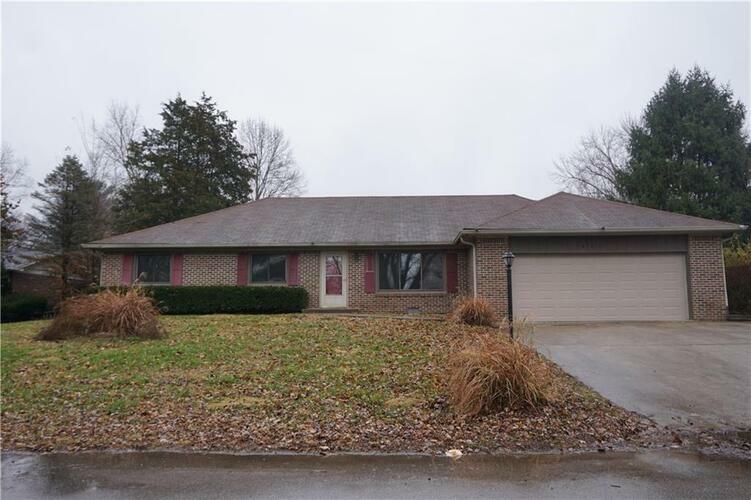 This all brick ranch is the one for you! With two living spaces and a massive kitchen you will have more than enough room to host family and friends for all of the special occasions. Master bedroom has a private bathroom, and the bedrooms are spacious for the kiddos or even an office. Let the pets run free in the fully fenced backyard. If the oversized two car attached garage isn't enough space, the mini barn will be a nice added bonus for all those extra toys and tools. Quick commutes to Bloomington and Indianapolis. Directions:From SR 37 South to SR 252 West. Right on Crestview Dr. Right on Shore Ave. Home on corner lot, right.